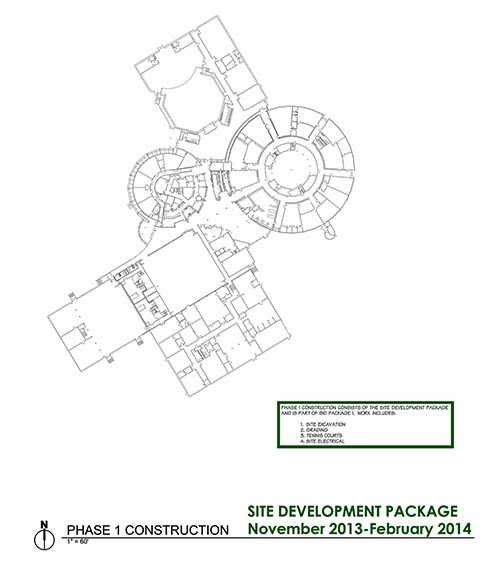 Phase 1 of construction consists of the site development package. Work includes site excavation, grading, tennis courts and site electrical. Phase 2 of construction consists of partial building construction. Work includes construction of three education wings and new competition gym. 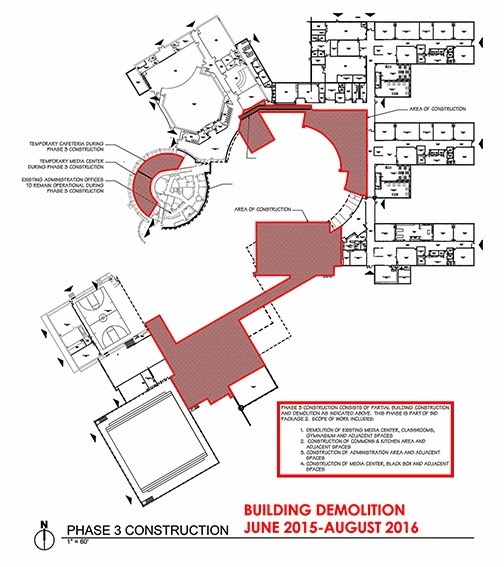 Phase 3 of construction consists of partial building construction and demolition. 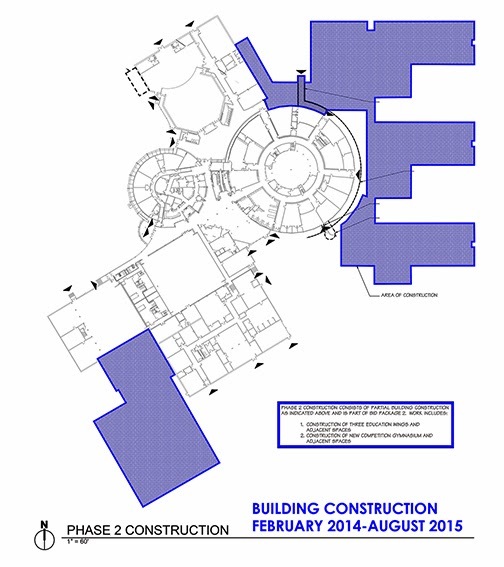 and construction of administration area, media center and black box. 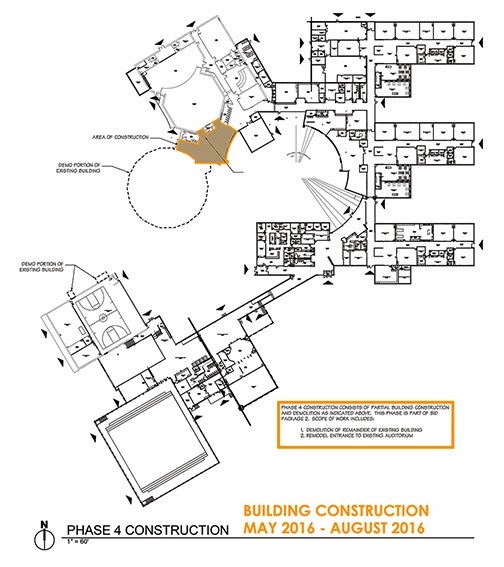 Phase 4 of construction consists of partial building construction and demolition. remodel of entrance to existing auditorium.